Year 1 February 2013 Five Australian teachers traveled to Laos to partake in a cultural exchange program with the Lotus community in Laos. Meeting will be held with the village elders, community leaders, teachers and education staff, pupils and their parents to assess the ongoing management strategies for the year. School registration, supplies and uniforms for the 44 girls were purchased. March 2013 A volunteer teacher will commence English lessons once a week for the Grade 6 Lotus girls at school. May 2013 Five International teachers traveled to Laos to register the next 40 Lotus girls for Grade 1. A meeting was held with the local village elders, community leaders, teachers and education staff, pupils and their parents to assess the ongoing management strategies for the year. School registration, supplies and uniforms were also purchased and distributed for 44 girls entering Grade 6. Year 2 May 2014 Three International teachers traveled to Laos to partake in a cultural exchange program with the Lotus community in Laos. School registration, supplies and uniforms for the 40 girls entering Grade 1 and the 44 girls entering Grade 7 were purchased. A Meeting was held with local village elders, community leaders, teachers and education staff, pupils and their parents to assess the ongoing management strategies for the year. September 2014 Forty 8 year-old Lao girls commenced Grade 2 and Forty-four 14 year-old girls commenced Grade 7. May 2015 Three International teachers travel to Savannakhet to monitor the program. Visit the three primary schools – Nong Kalong, Kham Khen and Nonnadie to update the photographic record of each girl, record student names in English and Lao and meet the teachers. Visit the Secondary school at Nong Kalong to update the photographic record of each girl, record student names in English and Lao and meet the teachers.Three International teachers and from NIST international school in Bangkok will travel to Laos to partake in a cultural exchange program with the Lotus community in Laos. A meeting will be held with local village elders, community leaders, teachers and education staff, pupils and their parents to assess the ongoing management strategies for the year. School registration, supplies and uniforms for the 84 girls will be purchased. 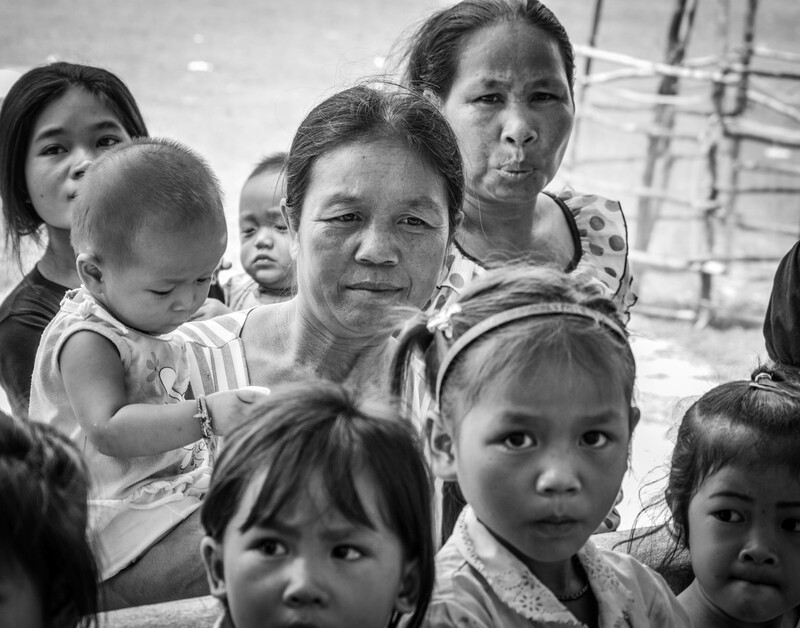 September 2015 Forty 9 year-old Lao girls will commence Grade 3 and Forty-four 15 year-old girls will commence Grade 8. Year 4 April 2016 Three International teachers will travel to Laos to partake in a cultural exchange program with the Lotus community in Laos. Meeting will be held with local village elders, community leaders, teachers and education staff, pupils and their parents to assess the ongoing management strategies for the year. School registration, supplies and uniforms for 84 girls will be purchased. September 2016 Forty 10 year-old girls will commence Grade 4 and Forty-four 16 year-old girls will commence Grade 9. Year 5 April 2017 Three International teachers will travel to Laos to partake in a cultural exchange program with the Lotus community in Laos. Meeting will be held with local village elders, community leaders, teachers and education staff, pupils and their parents to assess the ongoing management strategies for the year.School registration, supplies and uniforms for 84 girls will be purchased. September 2017 Forty 11 year-old girls will commence Grade 5 and Forty-four 17 year-old girls will commence Grade 10. Year 6 April 2018 Three International teachers will travel to Laos to partake in a cultural exchange program with the Lotus community in Laos. A meeting will be held with local village elders, community leaders, teachers and education staff, pupils and their parents to assess the ongoing management strategies for the year.School registration, supplies and uniforms for 84 girls will be purchased. Forty 12 year-old Lao girls will commence Grade 6 and the Forty-four 18 year-old girls will commence Grade 11.